Whew–raise your hand if you find yourself a wee bit overwhelmed at this time of year! I am raising both hands right now after the day I just had. So you have a To-Do list a mile long and holiday entertaining is the last thing you want to do. What if I shared a recipe with you that would not only be super easy and fast to make but also make you a hero because it is SO delicious? 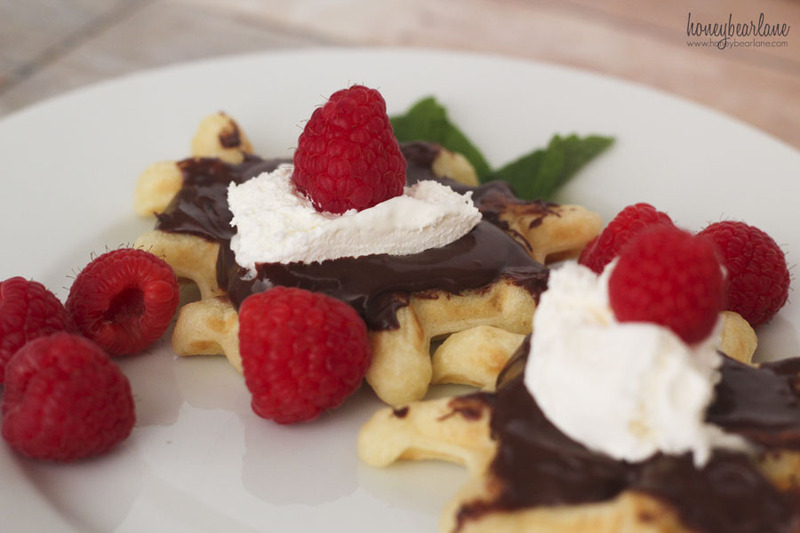 I was a hero today because of this delightful treat I made for my family: Hershey’s® Dessert Waffles! I made these waffles using only a few toppers, but mixed together are so amazing. I first made waffles, using the recipe below. 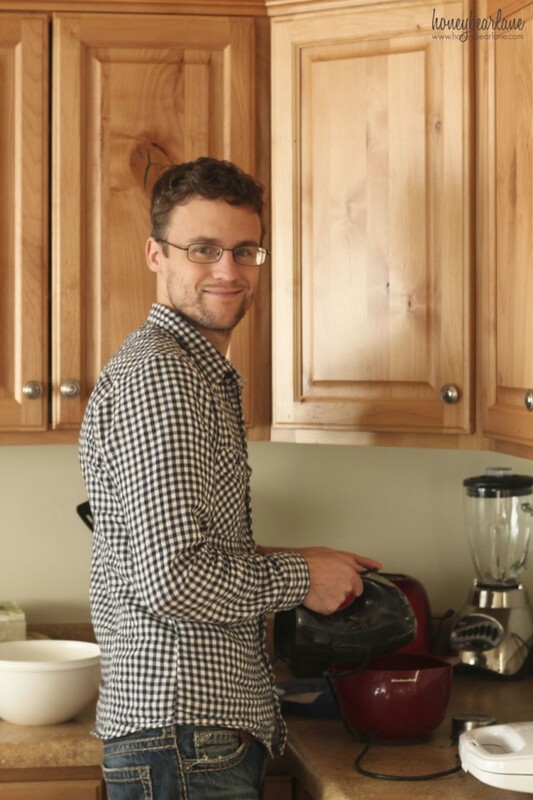 And my brother even helped me…so helpful! Sift all the dry ingredients together in a bowl. In a separate bowl, separate egg yolks and whites. Whip the whites until they foam up in another bowl. Then whisk the egg yolks with the milk and oil. Add the yolk mixture to the dry ingredients and stir until combined, but not overstirred (it will be lumpy.) Folk in the egg whites until they are mostly stirred in but not all the way. Cook the batter in a waffle iron until crispy. 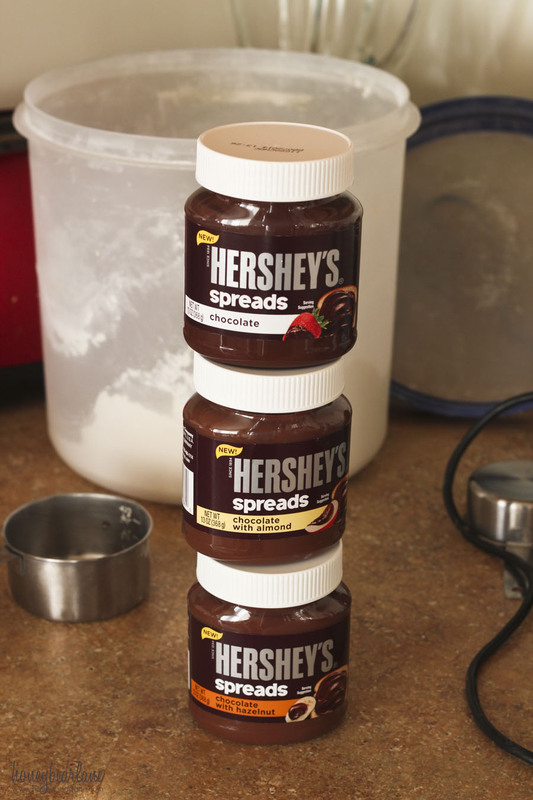 Then I got these awesome chocolate spreads made by Hershey’s®. There are three flavors: plain chocolate, chocolate with almond, and chocolate with hazelnut. They are all so yummy! 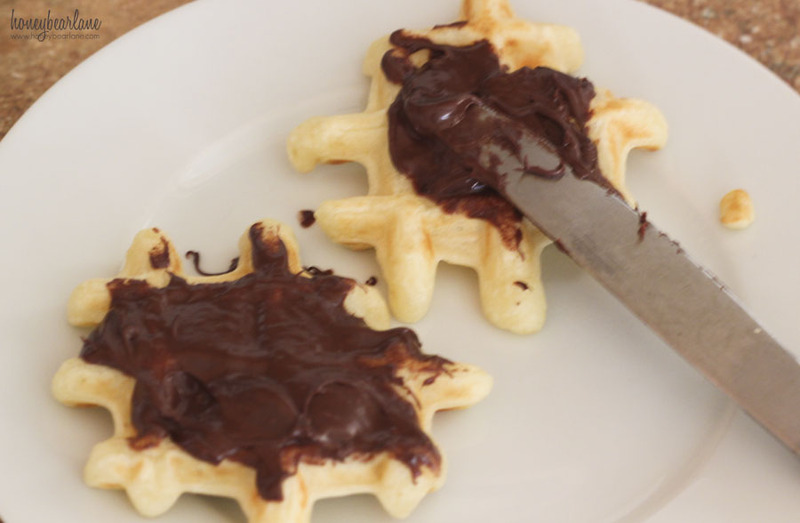 They are super easy to use and go on ‘like buttuh.’ Especially after taking the waffle off the iron when it’s still warm, just spread (or slather) on the chocolate spread. It’s easy, like making a peanut butter sandwich. After you spread on the chocolate, just top with some whipped cream (I like to use semi-frozen Cool Whip because it’s kind of like ice cream but more creamy.) And top with raspberries! It really was awesome how easy these were but how amazingly yummy they tasted. Talk about easy entertaining! I’ve had plenty of waffles with fruit and cream in my day, but adding the chocolate spread was something else. Ahhhh! 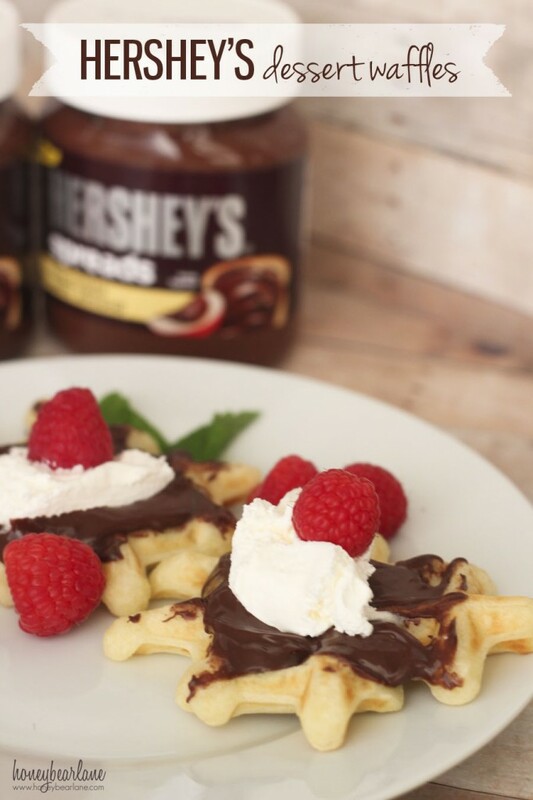 Mmm, I did my hershey’s spread post yesterday, and your waffles look delicious! I have a lot more spread left so I can’t wait to try this! Yum! Now I’m hungry and I just had breakfast. Can’t wait to get this spread and try it. Awesome! They are super yummy huh? !